WELCOME, my name is Constance H. Robinson and I am a Licensed Real Estate Agent with 20+ years in the Real Estate and Mortgage businesses. Over sixteen of those years have been specializing in the leasing of apartments, townhomes, condos, and lofts as well as sales of homes and condominiums. My mother was born and raised in Austin where she met my father while he was in the Army during World War II. After traveling around the world via the military, I am very proud to call Austin my home since the mid 70's. Are you going to the University of Texas this year? 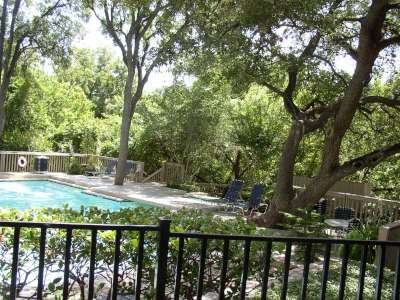 Would you like to live away from the University in NW Austin but also be on the UT shuttle routes? If you want more for your money, a quieter area where the students are serious about their degrees, then I suggest these neighborhoods. I know all of the apartment complexes in the Far West, Arboretum Neighborhoods in Northwest Austin that are on the UT shuttle bus stops or close to the Capital Metro Express which gets you to the University of Texas in 15 minutes! Or, would you prefer a mid-rise or a high-rise unit with granite counter tops and stainless steel appliances closer to the University? My services offer you a no nonsense way of finding out where the apartments are located, what their current rental specials are and which complexes are close to a UT bus shuttle or a Capital Metro bus stop. The closer you get to the university the more expensive so if you want a newer mid-rise complex, expect to start in the $1400.00 per month and up range. Want a washer and dryer or a one bedroom with another room to use as a study (aka den, office)? Have a dog and want a dog park or did you even know that Austin has fenced in back yards at a few of the complexes that are on the Capital Metro Express? Some properties are much more pet friendlier than others and I know which ones those are too. But, even if you don't get one with a yard, I know the properties that have lots of walking areas and/or trails to walk your dog just outside your door. Let an experienced apartment locator assist you with your Austin home search for FREE! That's right, the apartment communities pay me out of their advertising budgets to bring them qualified tenants. Don't go complex to complex to wait 20-30 minutes to speak with a leasing consultant only to find out they don't have something in your price range or they just leased their last one! WANT TO KNOW ABOUT PRE-LEASING? CONTACT CONSTANCE TODAY AND SAVE TIME! Let me save you time AND money by sending you the properties ahead of time that meet your requirements and letting you view them in your present home. You then email me back with the properties you would like to view and we go from there! This is my only job that I work at 24/7. I take a lot of pride in finding my clients their perfect match and believe that my testimonials speak for themselves; Constance's testimonials from her fantastic clients! Your rental needs will be on an individual basis so please don't hesitate to contact me with your requirements and tell me your requirements for your new apartment, townhome, townhouse, condo, loft, mid-rise or high-rise. I then pick the properties that I feel best meet your requirements and contact them to get their latest availabilities and type up your up-to-date list and send it to you. I do NOT just send you a list of properties that I have not called, I contact every property personally to get their updated information before I send the information to my clients. You then preview the list on your computer; comparing prices, amenities, pictures of the properties and floor plans. You narrow down your choices and simply email me back with any other questions and properties that you are interested in viewing. A convenient time is set between us to view your properties in person unless, of course, you need to lease sight-un-seen which will save you a lot of time and money if you don't already live in Texas. You view the properties in person (unless you're leasing sight-un-seen) and decide which complex you want to lease at and put down your deposit and any other fees to hold the unit for your move-in date. Note: you do not pay rent or the pet deposit until the day you go to the complex's office to pick up your keys and to sign your lease. I bill the apartment complex for my services after you have moved into your new home. SIMPLE! Now, isn't this a lot easier than going from complex to complex in 100+ degree weather, waiting for 10-25 minutes at every complex, only to find out the complex doesn't have a unit available for you when you need it or they are not within your price range? People started preleasing in February for August so the sooner you lease the better! SOME PROPERTIES ARE PRELEASING FOR AUGUST ALREADY! "The Far West neighborhood in Austin is named for Far West Boulevard, which runs through the area, rather than for its geographic location. In fact, Far West is not really in the " far west" part of Austin at all; it is the area just off MOPAC Expressway, around Far West Boulevard and Mesa Drive." You can get a lot more for your money in the Far West and Arboretum neighborhoods than you will close to campus. Most of the apartments in the Far West neighborhood do not have washer and dryer connections in their one bedrooms. However; each complex has one or more laundry facility on site so you won't have to go off of the property to wash your clothes. Most of the apartments in this neighborhood have a ut shuttle bus stop either in front of their property or a few blocks within walking distance. There is a wonderful HEB grocery store as well as some small restaurants and shops in this neighborhood. 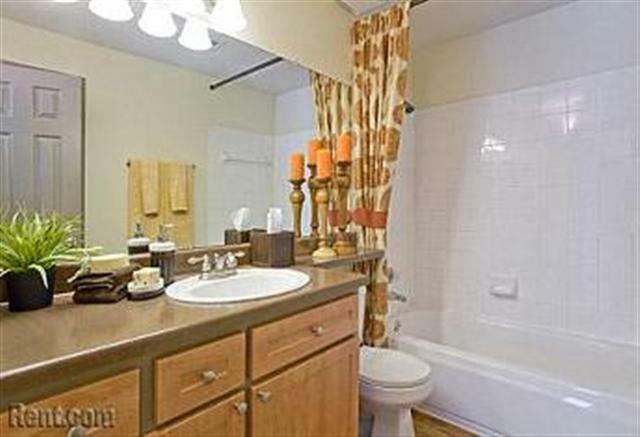 All utilities are paid by the renters and all of the apartments have central air conditioning and heating. They all come with refrigerators (some with ice makers), stoves, and most have dishwashers. The properties in this neighborhood were built in the 70's and early 80's. All complexes have fitness centers and most have business offices where you can use their computer, fax, and copier machines. Here are a few samples of the Far West property rentals listed below without pictures. Remember, once I know what you're requirements are, I will contact the properties to find out their latest availabilities (changes hourly) and send you the property names, addresses, their web sites with floor plans, pictures, amenities and specials including deposit information. Most properties have one and two bedrooms while some have three and four bedroom units. 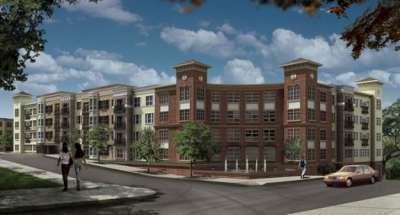 All of the complexes handle preleasing differently but I will let you know how each one works with pre-leasing a unit. 1. This complex has 1 - 4 bedroom flats and townhomes and their 3 and 4 bedroom units come with washer/dryer connections. Prices are starting at $779.00/month for 560 sq. ft. This community has four laundry facilities on-site. LEASED OUT FOR AUGUST BY JUNE BUT AVAILABILITIES FOR SEPTEMBER AND OCTOBER. 2. This complex is preleasing their 480 sq. ft. studios for $750.00/month on a 12 month lease. ALSO LEASED OUT FOR AUGUST! 3. This complex has completely upgraded some of their units with new carpeting, fixtures, carpeting, flooring, and appliances. Their smallest unit is 765 sq. ft. and is leasing for $825.00/month. The UT Shuttle is in front of the complex and you can walk to the grocery store two blocks away. Six on-site laundry facilities. ALSO LEASED OUT FOR AUGUST BUT AVAILABILITIES FOR SEPTEMBER AND OCTOBER! 4. Great community within 2 blocks of the grocery store and restaurants. This complex has some of their larger one bedrooms with washer and dryer connections. I can also assist you with the best place to lease a washer/dryer set if you don't already own a pair. Their 705 sq. 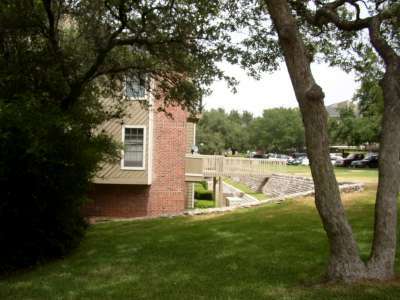 ft. units, with connections, are leasing for $855.00/month and the UT shuttle is just steps away. Great Management Company too. They have smaller one bedrooms and also two bedrooms. ALREADY LEASED OUT FOR AUGUST BUT AVAILABILITIES FOR SEPTEMBER AN D OCTOBER. IT'S NOT TOO LATE, I CAN STILL TRY TO FIND YOU A GREAT UNIT IN THIS NEIGHBORHOOD! OR, I DO KNOW OF ANOTHER NEIGHBORHOOD THAT HAS THE EXPRESS SHUTTLE. You can email me or call me (please leave a message if I don't answer because I'm probably on the phone or out with a client). DON'T GO APARTMENT TO APARTMENT TO SEE IF THEY HAVE SOMETHING FOR YOU WHEN I HAVE ALREADY GOTTEN ALL THAT INFORMATION! Efficiencies go first and then the small one bedrooms, on up..
Beautiful mid rise convenient to the State Capitol, Brackenridge Hospital, the University of Texas, Austin's business district, and an array of recreational and entertainment. Four blocks from the UT shuttle OR, you could just walk or ride your bike to UT! Take a cab ride to Sixth Street for very little money as this complex is just six blocks North. Interior finishes are quite luxurious such as lush carpeting and gleaming simulated wood floors. Black marble kitchen counter tops, nickel hardware, track lighting, garden tubs, and some units with dazzling downtown views. Each apartment home also features individual washers and dryers, microwave ovens, ice makers, and modern conveniences such as cable TV connections, dedicated computer connections and clubhouse/poolside Wi-Fi access. FREE assigned parking in their covered parking garage. Prices starting at $1360.00/month for their small one bedrooms. Get to UT in 15 minutes on this bus! Not only can you walk to the UT Shuttle from some of the properties, you can also walk to the many shops, grocery stores (HEB and Randalls) and restaurants. That's what everyone loves about the Arboretum, walk to Petco, Starbucks, Macaroni Bar and Grill, the movies, Barns and Nobles, Michael's, Pottery Barn, Banana Republic, Victoria's Secret, The Gap, Bed, Bath and Beyond, just to name a few. Don't want to walk a few block's? The Capital Metro Bus has park and rides that you can drive to in just minutes and park your car and take the Express Bus to the University of Texas. Students ride for free on the Capital Metro. The Arboretum is all about LOCATION, LOCATION, LOCATION. Have a dog? I know the complexes that even have fenced in back yards! Almost all of the units in this neighborhood either have washer and dryer connections or come with a set. You're going to be studying most of the time but when it's time to relax, why not relax with a view like this? The picture on the left is the view my client has that leased a 3rd floor unit. If a view is not a big deal to you then you'll just save more money. 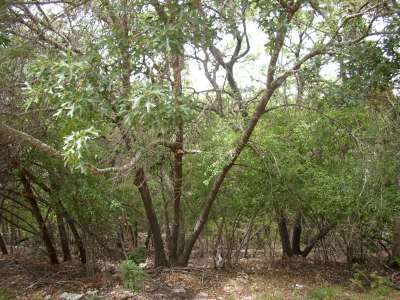 Either way, this is a really heavily wooded property that is very well managed. Wood-burning fireplaces in some units, top floors have vaulted ceilings, bookshelves and linen closets in some units, ceiling fans, full-size washer dryer connections in ALL units, ceramic bath tubs, breakfast bars, high-speed Internet access ready, two pools with multi-level sun decks, exercise and weight room, fantastic wooded and canyon views, two laundry facilities, and assigned covered parking available. 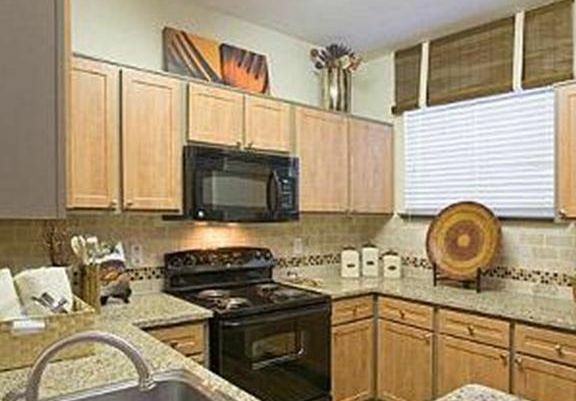 Some units upgraded with stainless steel appliances and new carpeting and fixtures. All of this on 25 acres of greenbelt in the Arboretum! LARGE ONE BEDROOMS STARTING AT 700 SQUARE FEET. Above, all units have washer/dryer connections. Close to the Express UT shuttle/bus stop or you can drive your car to one of the two park and ride locations. Lots of green space on this property to walk your dog(s) and lots of birds for your cat to check out while on your patio. that are on the UT Shuttle routes! Don't spend your hard earned money on a plane trip and a hotel room just to come back to Austin to find a place to rent! 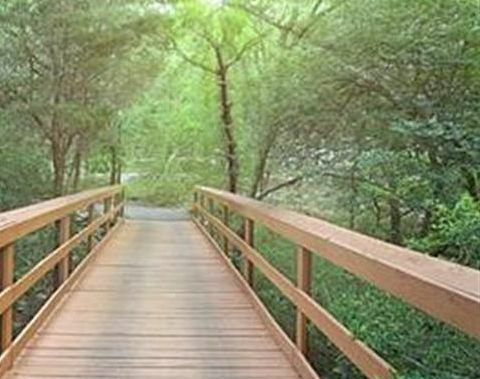 This property has beautiful trails running through the complex. Lots and LOTS of trees and two beautiful pools with brand new propane grills to b-b-q. They are probably one of the most upgraded complexes in the Arboretum area that are within walking distance to the Arboretum and the UT Express Shuttle. All units come with a washer and dryer. AND some have yards! I also know of a gorgeous condo built community in the Arboretum that was built by a highly recognized Environmental Builder. Built along 61 acres with gas cooking, awesome views in some of their one and two bedroom units, and full size washer and dryer connections. I know it's a fantastic community because I lived there for a year. Just tell me what you're looking for and your price range and if it's out there, I'll find it for you. Their one bedrooms start in the mid $1100.00's and their two bedrooms start in the mid $1350's/month. Huge dog park and three pools; one of which is a lap pool. Remember, the properties you look at today, someone else looked at yesterday.